You know downtown St. Petersburg is cool when Seminole Heights brings a couple of the city’s well-loved institutions across the bridge. Best of all, they’re bundled together into a single lot, bringing a taste of the ’Burg to Heights residents in a remarkably efficient manner. Bodega, a no-frills Cuban joint with great food and cold cheladas originally hailing from what is arguably St. Pete’s hippest part of town — the EDGE District — is one half of the Florida Avenue outpost. The second is Mandarin Heights, a fun and funky sibling to Mandarin Hide, St. Pete’s craft-cocktail lounge. I was surprised to learn that Mandarin Hide recently celebrated its eight-year anniversary. I vividly remember the thrill of high-end cocktails on Central Avenue back then, when a drink order was more likely to be a rum and Coke than anything involving bitters, fresh fruit puree or herbal liqueurs from Italy. As craft-cocktail culture has gone mainstream, these kind of concepts inevitably lose a lot of their novelty, but I still experience flashes of that early excitement in bold menus, buzzing crowds and eclectic spaces. Spaces like Mandarin Heights, for example. Mandarin Heights is not a remake of the original; it’s a sequel. In its early days, Mandarin Hide rode the momentum of the speakeasy revival, bartenders sporting flat caps and suspenders, mixing a range of drinks largely inspired by those popular during Prohibition. It’s long since found a unique identity, but the classic speakeasy look and feel is still its signature. Mandarin Heights is a logical evolution of the concept, pairing an interior of polished wood and intimate nooks with a cutaway bar looking onto an open-air patio lined with — I don’t think I’ve ever typed this before — flamingo-based artwork. The drinks, unsurprisingly, are top-quality. There are plenty of classics on deck, along with some neat house creations. 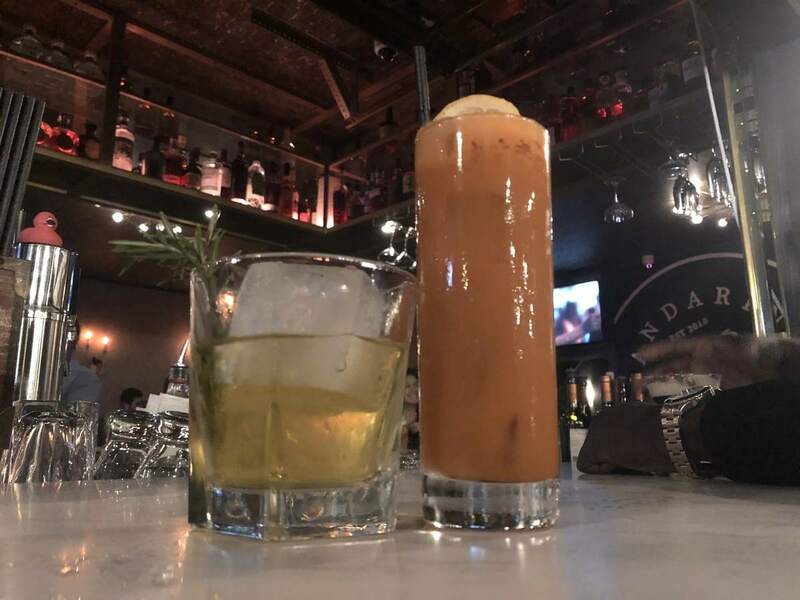 The Canvas stood out: Choose a base spirit (dark rum, Old Tom gin or rye whiskey) and it’s mixed with St. Elizabeth’s Allspice Dram, carrot juice, demerara and lemon juice. The Suzey Q is another excellent pick. This one combines Casa Noble reposado tequila with Lustau manzanilla sherry, Giffard Pamplemousse, Suze and torched rosemary. It’s an impressively aromatic and complex cocktail. The biggest takeaway for me was the overall energy of Mandarin Heights. 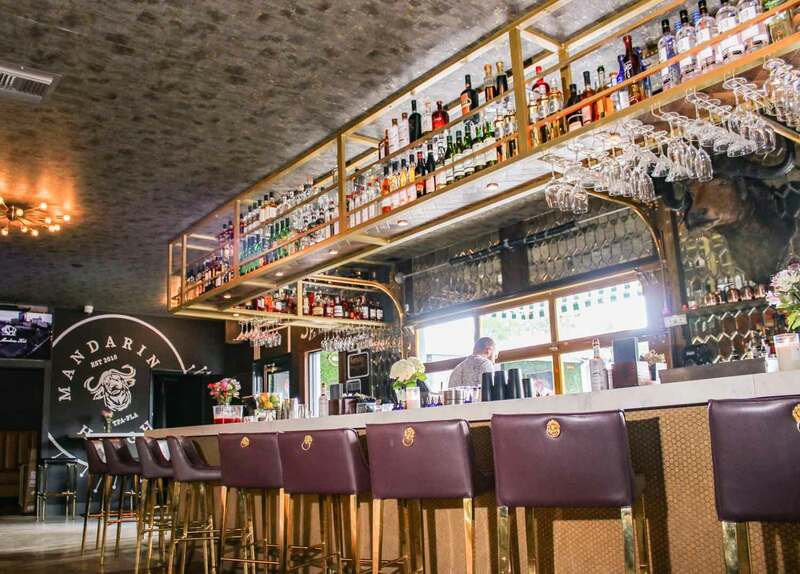 Sure, a newly opened (and long-anticipated) cocktail spot in Seminole Heights is guaranteed to come with its share of liveliness, but the scene felt especially vibrant: an exciting mix arising from a combination of familiar parts. Photos courtesy of Geneva Johnson Two of the standout cocktails include The Suzey Q, left, and The Canvas, in which you can choose your spirit. That’s what made the original Mandarin Hide a hit eight years ago, and it’s a major factor in its endurance to this day. 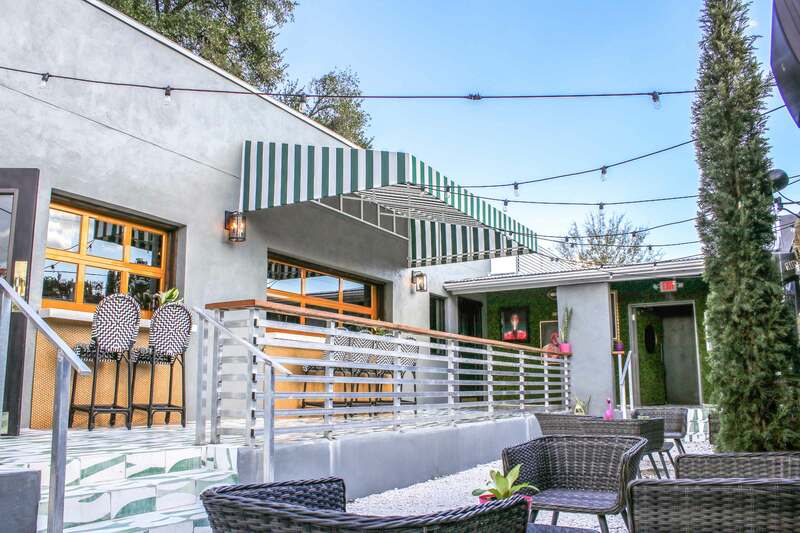 It’s not accurate to suggest that the exact same formula was applied to its Seminole Heights counterpart; that much is evident as soon as you step onto this bar’s funky patio of patterned tiles and lawn flamingos. But in a landscape where craft-cocktail bars have become the norm, it’s an accomplishment to create one that still stands out. The vibe: A funky, energetic and inexplicably flamingo-themed cocktail lounge. Booze: Beer, wine and liquor. Beer, $3-$7; wine, $7-$11 by the glass and $21-$89 by the bottle; liquor, $6-$13 and up for some high-end spirits. Specialty: Mandarin Hide was one of the bay area’s original players in the craft-cocktail revival, and Mandarin Heights has continued the tradition with a variety of creative concoctions, like the Canvas, a carrot juice and St. Elizabeth’s Allspice Dram base boosted with your choice of spirit: dark rum, Old Tom gin or rye whiskey. My pick is dark rum, but half of the fun is trying it more than one way. Hours: 5 p.m. to 3 a.m. Thursday-Saturday; noon to 3 a.m. Sunday; closed Monday-Wednesday. Contact: Justin Grant at jg@saintbeat.com. Follow @WordsWithJG.